With seven rebounds and a block, Maine’s Blanca Millan (22) keyed the Black Bears’ defensive efforts last weekend. Associate head coach Amy Vachon, a former Black Bears star, came up with the game plan that worked to perfection against UNH. That’s a cliche we’ve all heard, but that doesn’t make it untrue. 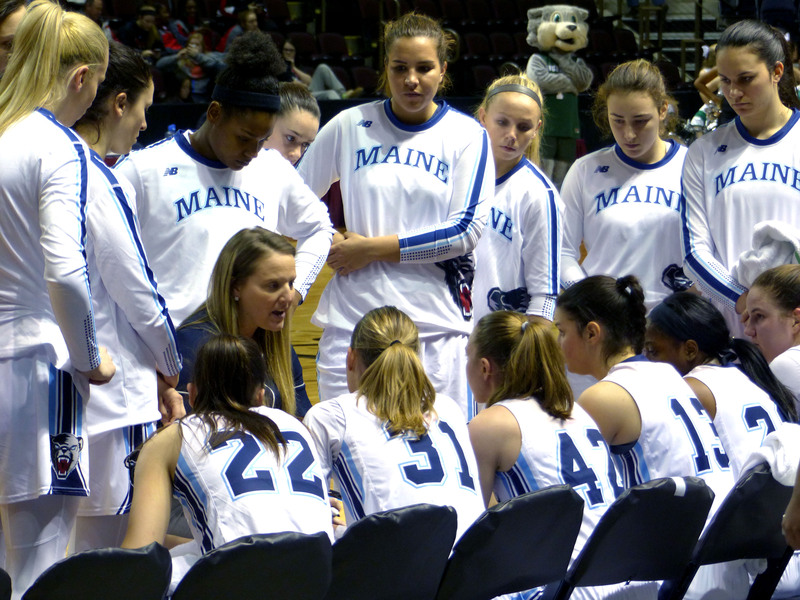 Last weekend at the Cross Arena in Portland, Maine, women’s basketball fans saw the University of Maine deliver two virtuoso defensive performances in the America East Conference quarter and semifinals. With those victories over Binghamton on Saturday and number-one-seeded UNH on Sunday, the Maine Black Bears earned a trip to Albany this Friday to face the University of Albany. The winner gets an automatic bid to the 2017 Division I NCAA tournament. 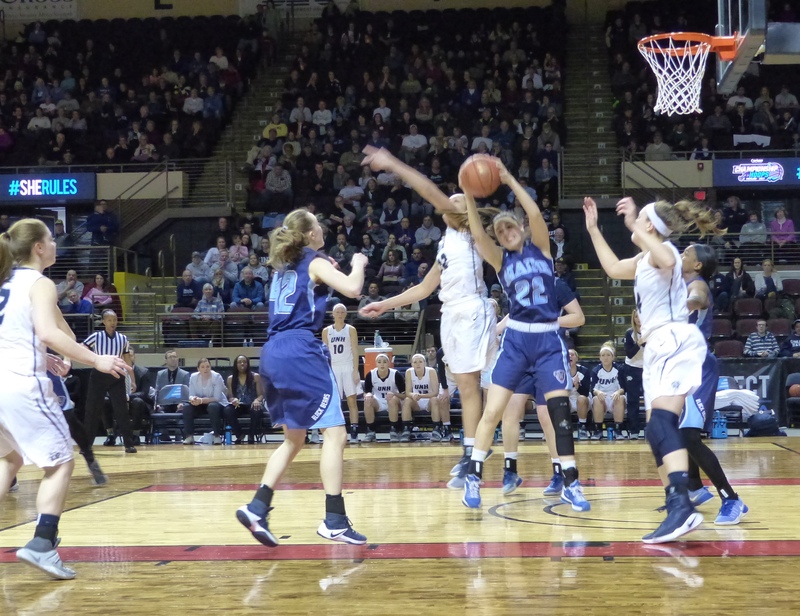 Maine, which was seeded fourth, won both games at the Cross Arena by the sheer will of their defensive efforts. UNH had beaten Maine twice in the regular conference season on the strength of their inside game. 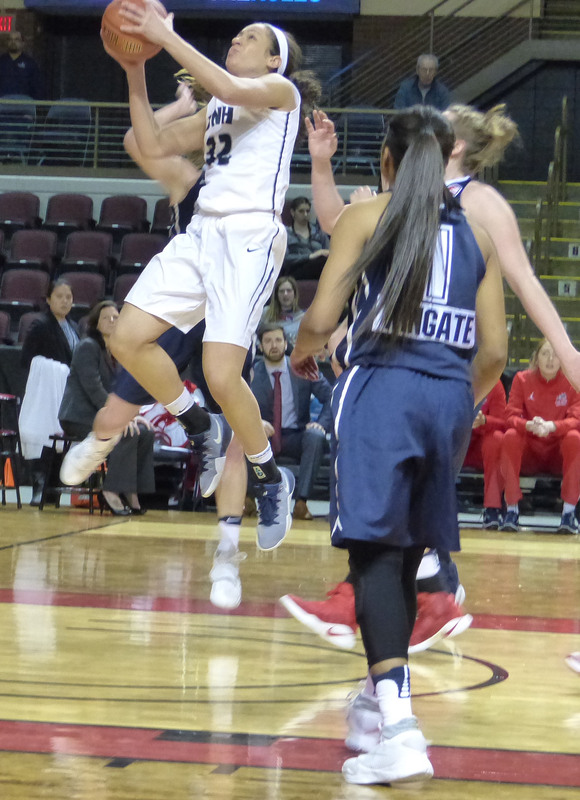 UNH’s center, America East Player of the Year Carlie Pogue, had scored 19 points and pulled down 10 rebounds in the teams’ most recent meeting Feb. 15 in Bangor. UNH ended up winning that contest 65-57. In Portland on Saturday, Pogue continued to display her dominance against Stony Brook. She posted up inside at will and used her athleticism to cash in on a number of off-balance shots and put-backs. Her 23-point effort led UNH to a 58-49 win. But in the other quarterfinal on Saturday, UMaine gave fans a preview of what smart, well-executed defense can do. The Black Bears shut down Binghamton’s go-to, all-star guard, Imani Watkins, who had been scoring 19 points a game. Maine held her to seven points and forced her into nine turnovers. The Black Bears won the game going away, 57-40. UNH’s Carlie Pogue dominated Stony Brook on Saturday but had no open looks like this against UMaine on Sunday. attempts. Pogue, meanwhile, was held to 11 field goal attempts, and was only successful on 4. 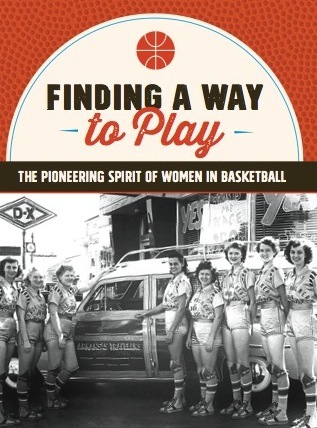 Maine’s relentless match-up zone defense, a game plan Vachon had only introduced recently to her young team, thwarted the Wildcats’ efforts to get the ball inside. At least two of Pogue’s four baskets were on rebounds of other players’ outside shots. Only one of her baskets was an open look from inside the paint. Maine also held UNH to nine assists and forced the Wildcats into 19 turnovers — an amazing feat considering that UNH had the best assist to turnover ratio in the America East Conference this year. (In their Feb. 15 meeting, UNH had 18 assists and 12 turnovers). “Kudos to Maine. They had a great game plan,” said UNH Coach Maureen Magarity, whose team had only lost one conference game all year. Can UMaine keep it up? We’ll find out Friday when they face the America East tournament’s second seed, the University of Albany, with which the Black Bears split their conference games this year. It’s a grudge match of sorts since Albany beat Maine last year in the championship game by one point. Albany isn’t the same team it was last year though. The Great Danes lost elite all-star Shereesha Richards to graduation. They hired a new head coach after Katie Abrahamson-Henderson moved on to Central Florida, taking her assistants and starting point guard Zakiya Saunders with her. Senior guard Imani Tate is leading Albany with 19 points a game, but senior forward Bailey Hixson led the Great Danes in their two-point win over Hartford with a 22-point effort. When the Black Bears beat Albany in January, Imani Tate scored 32 points but the Black Bears pretty much shut down everyone else. A month later, Maine lost to Albany on Feb. 18, even though they held Tate to 8 points. Four other Great Danes, including Maine native Tiana-Jo Carter, picked up the slack and scored in double figures. Once again, the game, which is on ESPNU at 4:30 p.m., will likely come down to defensive strategy (and execution). The winner is likely to have to face the UConn Huskies in the opening round of the Bridgeport Regional bracket, but getting there is what it’s all about.